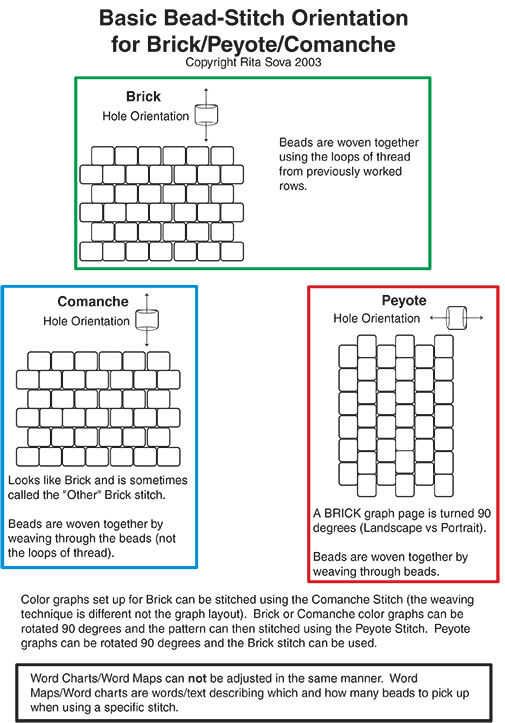 Page shows bead orientation (Vertical/Horizontal) for: Brick, Comanche, and Peyote stitches. Basic stitch explanations are provided. Stitch instructions are NOT included.